Think about how much dust accumulates in your home on an annual basis. According to the National Air Duct Cleaners Association, it’s about 40 pounds worth! Some of that will definitely get into your air ducts over time, but it won’t be easy to clean. 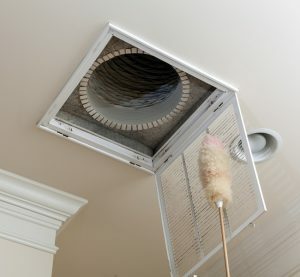 Cleaning the ducts has many benefits, such as improving your indoor air quality and helping clear away debris from sensitive components. All it takes is one cleaning every few years to keep your system in good standing. Unfortunately, you can’t just shove a feather duster in the duct opening and expect to have it all cleaned thoroughly. Special vacuums and brushes are required that only a professional of duct cleaning in Miami would own. Plus, a cleaning without the proper technique might actually loosen up more of that dust, thus making the problem worse. Duct leaks are one of the big killers of efficiency. If you find that your energy bill is higher than usual even after having your furnace or AC repaired, then it could be due to leaks. It’s estimated that nearly 30% of air in the ducts can be lost through leaks. If that air is coming from your AC or furnace, then you can bet that you’re losing out on a lot of money every time you turn on your HVAC system. Although hearing that may make you want to jump in your attic and start sealing those leaks, we don’t recommend it by any means. Finding all the leaks in a duct system requires special tools and years of experience spotting leaks. Plus, you have to make sure that pressure levels are maintained after the work is done—something you can only do with a duct leakage tester. Another reason you shouldn’t rely on yourself or an amateur to do duct sealing is that sealing might not even be the best solution. In some cases, the ducts have fallen into such disrepair that having them replaced is really the best option. We can’t recommend DIY duct replacement because, frankly, even a lot of HVAC professionals don’t do it right. One common reason that we replace the ducts in homes is because the original duct design is causing airflow issues. Designing ductwork is an art as much as it is a science. Crimps, sharp bends, and extended lengths of ductwork can reduce airflow, so they need to be designed with all of these things in mind. If you’re thinking about working on your own ducts, don’t do it! Save yourself the time and call up a professional. Contact Air On Demand today to schedule a service.